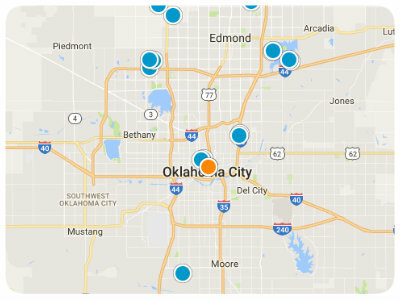 Selling your Oklahoma City area home? Selling Your OKC Area Home? Click here to use our Instant Home Valuation Tool. Selling a home is a challenging and sometimes emotional time. Here are 8 things you can avoid to make your sale go smoothly and make you the most money. One of the easiest and most important things a homeowner can do is to clean. Nothing turns a buyer off more than walking into a dirty house. When a buyer sees a dirty house, they see someone who neglected the house. This in turn makes the house less appealing and reduces your potential proceeds from the sale. Decorating a home to live in and staging are two different things. Although a seller’s design taste might fit his/her personality, it doesn’t always fit for a prospective buyer. Everyone hears to de-clutter, de-personalize, and neutralize, however, there is much more consider. Homes need to meet or exceed expectations for their market or neighborhood. That’s why at the Sikes Team, we always have our certified stager do a consult with our sellers before we put a house on the market. How many houses have you seen online? How quickly do you skip on to the next one if there are poor pictures? Taking good pictures of real estate is an art. A photographer needs the right lighting, lenses, angles, shutter speeds, among other things. Accurately being able to portray a home through the pictures is a must to reach potential buyers. We pulled all of the closed houses for our market in Edmond for the first 3 quarters of 2012. An interesting correlation became apparent between number of pictures and days on market. We found that homes with the max amount of pictures (20) spent an average of 21-23 days on market less than those houses with 15-19 pictures. Less days on market means better offers, which leads to more money for the seller. When a buyer requests a showing, the seller needs to do everything possible to accommodate. When a showing is simply declined buyers feel like a seller doesn’t want to sell his/her house, and subsequently would be hard to deal with when negotiating a deal. Instead of declining a showing, always present a couple of different options that would work for the seller. Don’t just assume a buyer will say no. Let them make that call. You might just be surprised at the results. Having correct information on a home is paramount. Do your research ahead of time. Know the correct school district, square footage, etc. For example, if a price of a home is based on a certain square footage, and when it is appraised it comes in lower a deal could fall through. Conversely, if you base a price on square footage that is too low, money could be left on the table. Let’s consider 200 square feet at $100 a foot, and that can make a big difference. Incorrectly pricing a home can be detrimental to the sale. Always consult with a market expert when pricing a home. Price too low, and you leave money on the table. Price to high, and by the time you adjust your price to the market price the home will have been on the market too long to get the best offers. Last but not least, the biggest mistake you can make is not working with The Sikes Team ;). We can help you achieve your goals, whatever they are. If you aren’t sure what your options are, we can help. Whether you choose to sell, stay, refinance, rent, or any other creative idea, we can help you choose the right direction.